The extraordinary architecture, lush botanicals, and captivating stories of this historic, coastal city make for an unforgettable vacation experience. Experience true southern hospitality aboard Old Town Trolley Tours of Savannah and discover what makes this southern gem a favorite destination for travelers. 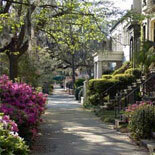 A picturesque city, Savannah has much to offer people of every age. From a timeline that begins in America's earliest days, to a lineup of influential, pioneering residents, Savannah is brimming with marvelous history, intriguing attractions, art, culture and well preserved architecture. With the Partners in Preservation and Old Town Trolley Package, you will see it all and gain a bit of knowledge about the city's past. The extraordinary architecture, lush botanicals, and captivating stories of this historic, coastal city make for an unforgettable vacation experience. 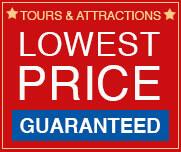 For over 30 years, Old Town Trolley Tours has provided sightseeing tours highlighting the best of Savannah. Hop aboard one of the trolleys and you will experience Transportainment, a delightful combination of transportation and entertainment. The friendly conductors narrate the tour with a fascinating and fun mix of trivia and humorous stories. It will be their pleasure to guide you through Georgia's First City on one of their orange and green trolleys. Guests can tour to see many 19th century antiques, silver pieces and ornamental ironwork. Knowledgeable guides give visitors a wonderful overview of the people and events that had their place in the history of the home. The home later belonged to Andrew's son, William, who married Juliette Gordon, the founder of Girl Scouts. A Federal-architectural style house that was constructed in 1820 by master-builder Isaiah Davenport. Davenport was known for his skill and talents in the building industry and the house served as a showcase of his work as well as a family home. 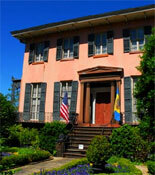 Today, the Davenport House is on the National Register of Historic Places and a treasured stop on any Savannah tour. The dignified mansion is a true architectural masterpiece. furnishings and collectibles throughout the home are reminiscent of the 1820�s and a delight for guests to view. Get your eTickets today to save money on the Partners in Preservation and Old Town Trolley Package. 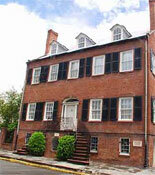 This is your opportunity to step back in time and relive a part of Savannah's history! Daily: 9:00 am to 6:00 pm. 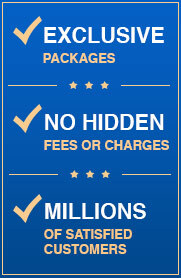 April through July-Final boarding at 6:00pm for full tour. Tours depart approx every 20 minutes. Closed St. Patrick's Day. 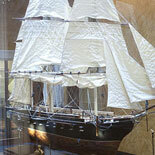 Ships of the Sea Museum: Tues-Sun: 10 am-5 pm. Last admission at 4:15pm. Andrew Lose House: Mon through Sat between 10:00 AM and 4:00 PM. Sun 12:00 to 4:00 PM. 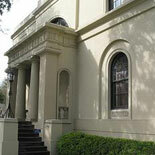 Davenport House: Mon thru Sat starting at 10:00 am with last tour at 4:00 pm. Closed on New Year's Day, St. Patrick's Day, Easter, July 4, Thanksgiving and Christmas. Free parking with trolley tour at 234 MLK Jr. Blvd. and 214 W. Boundary and Oglethorpe Ave.
You must check in at the Old Town Trolley ticket booth to obtain your boarding passes for each attraction & an overview of your package. Davenport House: Wheelchair access is available to the basement level of Davenport House Museum which includes the museum shop, restroom, water fountain, courtyard and garden. On request a DVD will be shown at no charge. It provides a guided tour of the museum. There is seating available on all levels. Old Town Trolley offers free shuttle service from any hotel or B&B in the Historic District and from most hotels in the surrounding area. All of the trolleys are open-air for most of the year. Windows can be shut in cold or rainy weather. Assistance animals, such as seeing-eye dogs, are the only animals that are allowed on board the trolleys.